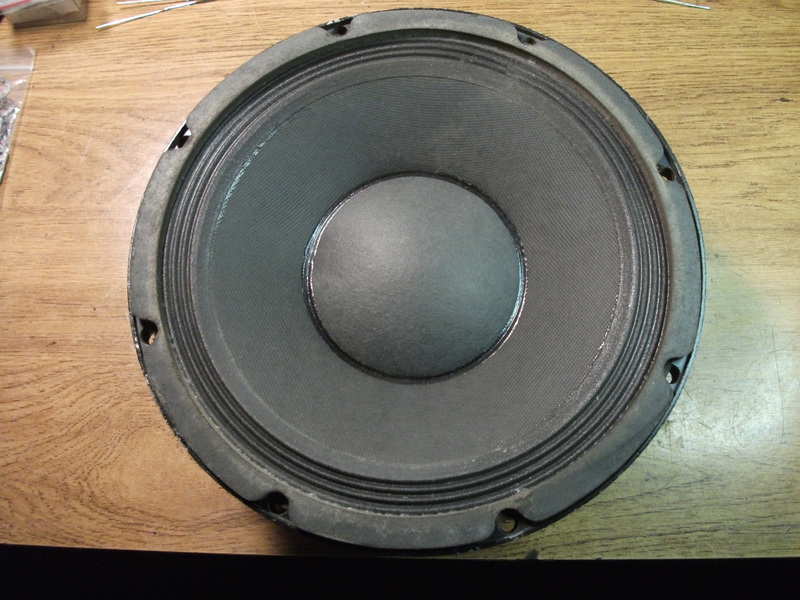 This sale is for 3 vintage Electro Voice EVM 10M guitar speaker. 2 speakers are in excellent working condition and good cosmetic shape. 2 Speaker's cones are in good shape with no rips or tears. 1 speaker works well but does have a dented dust cover. Speakers have been tested under load. Subject to corrosion on the metal frames. Corrosion has been reasonably removed. This doesn't affect the speaker's performance. 1990's ElectroVoice EVM 10M speaker: These are 200 watt 8 ohm speakers. The 10M is the finest musical instrument speaker you can have for jazz or blues; rock players love it too...used by Stevie Raye in his famous Fender Super amp. 18.2 pounds. This is the OEM version that was used in many Mesa Boogie and Musicman amplifers. Correct inventory/dating number on the back of magnet...still legible, and correct. According to factory records: 810 0517 indicates the model is a EVM 10M (not the DLX type!!! Big difference!) and remaining numbers are date code. The EVM 10M's are highly sought after due to their great quality and enormous headroom, combined with its ability to recreate the exact tone of your instrument without 'coloring' it. This is one you can use for the rest of your life in your favorite amp!